Customers and product reviewers agree that the MojoDesk Gamer Pro sit-stand desk is an excellent choice for PC gaming. The adjustable height desk is designed for ultimate stability and bundled with a CPU hanger, Monitor Arm, and cable management accessories. The MojoDesk Gamer Pro sit-to-stand desk takes into consideration every aspect of the gaming experience. The steel frame offers the ultimate stability avoiding keyboard bounce and included monitor arm, CPU hanger, and cable management accessories keep the desktop clean. There’s more than one reason gamers choose the MojoDesk Gamer Pro gaming desk. Many satisfied customers and product reviewers agree that that the MojoDesk Gamer Pro is an excellent choice: built for gamers, designed and made in Denver with premium materials, and provides a healthier gaming environment. Designed with the gamer in mind, the MojoDesk Gamer Pro takes into consideration every aspect of the gaming experience. Unlike its competitors, the Gamer Pro exceeds expectations in user experience and hardware support. 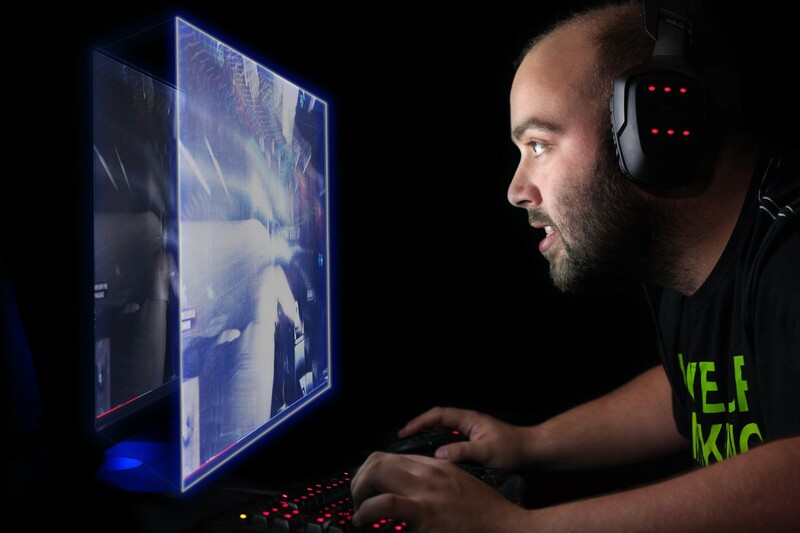 The ability to set the height to any player’s size as well as the lack of keyboard bounce allows for an ideal gaming environment. MojoDesk Gamer Pro’s steel frame and Greenguard certified desktop were tested rigorously for stability and durability. At all heights under varying loads, the Gamer Pro was thoroughly tested according to ANSI/BIFMA standards and successfully endured a stringent ten-step testing process to earn a prestigious thumbs-up certification. Additionally, the UL Greenguard Certification means MojoDesk has been independently tested and meets one of the most stringent chemical emission standards in the world. Xybix, MojoDesk's parent company, has been certified on a quarterly testing basis since 2009. Studies show the health benefits gained from standing for much of the day as opposed to sitting. 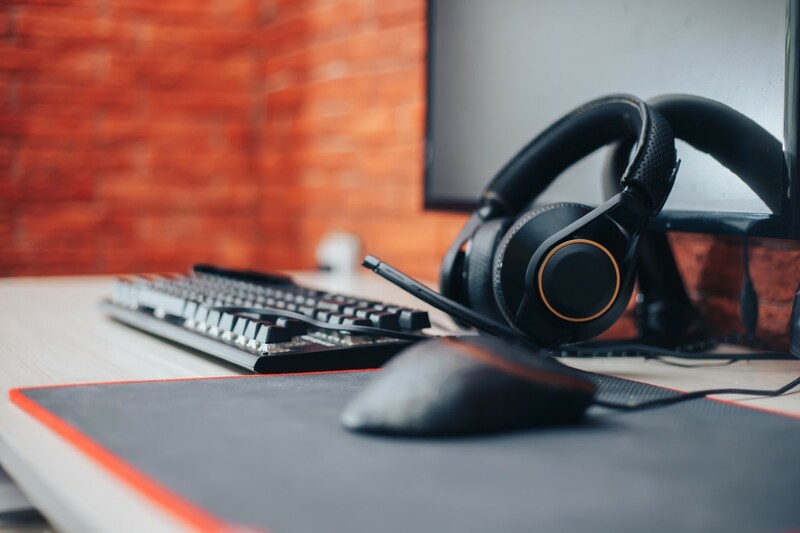 The many hours that gamers spend sitting in front of their game consoles or PCs can be as damaging as those spent sitting in a cubicle at the job. Gamers can benefit from a height-adjustable gaming desk in the same way that everyone else does. According to HighGroundGaming.com, the MojoDesk Gamer Pro received an 8.8 out 10. It is also rated #1 by StartStanding.com on its stability, durability, ability to be customized to fit a player’s needs, and its ergonomics. Additionally, it received top marks from GeeksLife.com, NotSitting.com, and the Independent Video Game Community. What are the features to look for in the best sit-to-stand gaming desk? Most importantly, the desk must be adjustable. Not just adjustable to a few selected heights as some competitor desks are designed. This desk must have a full range of motion for any required height. A 6-foot tall player will have a different comfort-zone than a player at 5’4”. The Mojo Gamer Pro ranges from 24” to 50 ¼” in desktop height which is perfect for gamers who are short (4’11”) to tall (6’6”). Desk stability is a key feature. Gaming involves a lot of movement and the desk should not wobble when used. The MojoDesk Gamer Pro gaming desk has no keyboard bounce. This is also a critical feature to remove any negative response to pounding on the keys. Stable and sturdy are features essential to the gamer because a shaky platform could hamper a winning performance. A large work surface for all the gamer’s accessories (and snacks, of course) is an absolute necessity. And along with that, the ability to maintain an uncluttered surface is an appealing feature too. The Mojo Gamer Pro comes in three sizes; 48x30”, 60x30”, and 72” X 30”. Also included are five additional accessories to help create a functional and clutter-free desktop. It comes with a monitor arm and CPU hanger for keeping those items secured and out of the way. Also included are the MAGicSnap cable management chain, tray and power bar. These items provide premium cable and gear management. A laminated surface that serves as both a mousepad and protection from spills (soaking into the desktop). The front edge is beveled to protect the wrist and forearm, for hours of irritation-free gaming. Preprogramming to desired heights. With just the press of a button, the 3-stage electric-powered telescoping legs will easily and quietly raise the desk to a predetermined height for standing - or lower it back to a sitting position. And a safety motion sensor will immediately stop the movement of the desk if it comes in contact with an object, such as a child or pet. MojoDesk’s parent company Xybix has been in the desk building business for over 28 years, manufacturing quality, long-lasting sit to stand desks. In summary, MojoDesk Gamer Pro includes a CPU hanger, monitor arm, and three cable management accessories. Discover why the MojoDesk Gamer Pro is the premium choice in gaming desks by visiting getyourmojo.com.